Some things must be lived through in order to truly ‘get it’. Fortunately, there are a number of techniques you can employ in order to mitigate this unfortunate circumstance. And it all starts with the need for touch. Touch isn’t just for healthy babies anymore. For years, premature infants were placed in incubators and left to sink or swim on their own. However, a number of studies (as well as real-world experience) has shown that preemies who are held, touched, and massaged have a ten to a (whopping!) fifty percent better chance of survival than their neglected brethren. The need for touch is real. Doctor Nils Bergman, a rural South African physician, has had remarkable success by wrapping even the tiniest preemies skin to skin with their mothers twenty-three hours a day (which he calls Kangaroo Mother Care). Similar results have been reported in Columbia, India, and other third-world countries, where incubators are not to be found. Babies in Kangaroo Care had better oxygen levels, cried less, slept more, and were more likely to breastfeed. Not only did the babies benefit, but the mothers reported that constant contact made them feel more competent, improved their mood, and helped them feel closer to their babies. The same principle holds for normal healthy babies as well. In fact, it seems to be part of our genetic programming. This Huffington Post Article details how an attempt to measure growth-related enzymes and hormones in newborn rats failed on account of the rats being removed from their mothers. Noticing how the rat pups were groomed by the mother, they tried to duplicate the process with a wet brush. Success! After finding the right pressure level the deprivation effect was reversed. The article then devolves into a lament about the lack of funding for scientific research, but the important point remains. All species of mammals benefit from touch, not only at an early age, but throughout their lives. This is why your dog or cat loves to be scratched. For reptiles, not so much. Having no prefrontal cortex or limbic brain to speak of, lizards and snakes make lousy pets. They have no need for touch. They also make lousy parents. If their offspring do not slither away fast enough those babies might become dinner. Consider the habitat of the newborn human. For nine months your baby had it made in the shade. Now, after an extremely rude ejection, there is unpleasantness. It is bright, and loud, and lonely. The only way to make our displeasure known is by squalling. We spend several months as helpless infants and what seems like an eternity as dependents (see tax return). The reassuring benefits of skin to skin physical contact under these circumstances can not be overstated. It calms you and your baby. Your touch is vital to his or her good health. 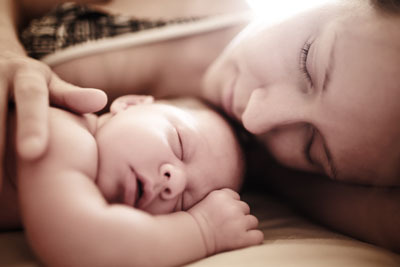 Hold Your Baby – The body temperature of a new mother’s chest area is a full degree higher than the rest of her body. This is Nature’s way of providing temperature regulation for the baby. Use it! Plus, new babies need constant reassurance that they are safe and loved. Touch! – Holding their hands, rubbing their back, stroking their face, it all contributes to their feeling of security. Not to mention that some folks today make a very comfortable living by doing this to full-grown people. Infant massage is a wonderful experience for both baby and parent. 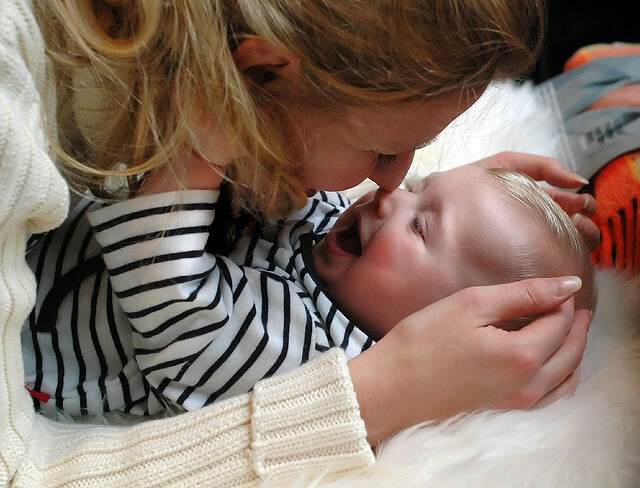 Talk To Your Baby – A newborn can recognize its mother’s voice right away. Speak in a calm and gentle tone. Do not describe how painful it was to have him. This can come later, say, in adolescence. 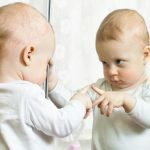 Make Eye Contact – Babies can see about twelve inches ahead, after that it all becomes a gentle blur, kind of like what Al Bundy sees without his glasses. So get right up close and in there so they can give you the hairy eyeball. Bond! – Spend time with your baby. Sing if you can carry a tune. Croak if you cannot. Play classical music. But not the 1812 Overture. All that cannon fire. The child will think he’s Ukrainian. Discuss macroeconomics (“Can you say, ‘currency devaluation’? I knew you could!”). Its not what you say, but how you say it. Remember, a child is not a transient accessory that goes out of style in a few weeks like a handbag. You are in this for the long haul. The cost is great, but the results are equally rewarding. And I say this while reporting from the frontiers of fashion, where chic never sleeps. Not really, I live in Boulder where UGGS still mean ugly. But I don’t really care. They keep me warm. The warmth of tone and touch are what strengthens the bond.